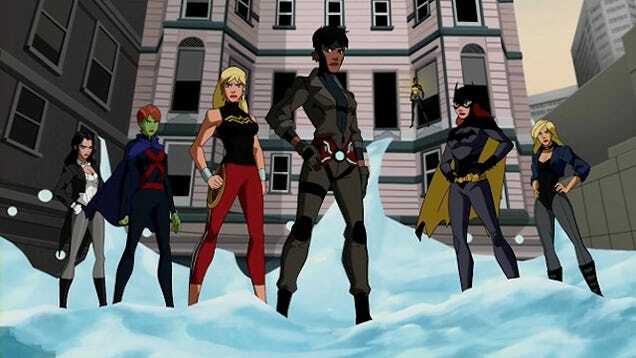 Warner Archive Collection is preparing a high-def Blu-ray Disc release of Young Justice – Season 1. Now they’ve put the title up for pre-order at the studio’s WBshop.com online store (see button link below), showing a release date of August 12th, and a cost of $24.95 for these 26 episodes. In Young Justice, being a teenager means proving yourself over and over — to peers, parents, teachers, mentors and, ultimately, to yourself. But what if you’re not just a normal teenager? What if you’re a teenage super hero? How much harder will it be to prove yourself in a world of super powers, super villains and super secrets? Are you ready to come of age in such a world? Are you ready for life or death rites of passage? Are you ready to join the ranks of the great heroes and prove you’re worthy of the Justice League? That’s exactly what the members of Young Justice — Robin, Aqualad, Kid Flash, Superboy, Miss Martian and Artemis — will find out … whether they have what it takes to be a proven hero. In my opinion, Young Justice was on par with previous Warners Animation efforts like Batman: The Animated Series and Justice League. Where the original (good) Teen Titans cartoon would combine a Japanese aesthetic (which is now in hyperdrive on Teen Titans Go), they still had some darker storylines like Robin’s entanglement with Deathstroke. Young Justice echoed some of these darker tones while dealing with the growing pains of being teen superheroes with inferiority complexes. The 3rd and final season of the show only took this further in a challenging way by introducing even more characters and bringing a story arch that dealt with time-travel, death, deception, aliens, and Lex Luthor. It was a brilliant show that suddenly just stopped being shown to the detriment of us all. Cartoon Network has a knack of not letting seasons play out when they perceive that it isn’t going well. Apparently the numbers weren’t strong enough for the show to continue airing first runs, but this was also before they started networks valued DVR viewing numbers (which was how I watched the show — time-delayed). 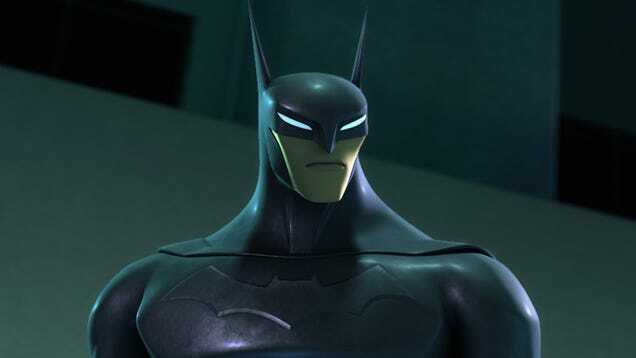 They seemingly replaced the show with Beware the Batman, which also met an early demise. So, if you were a fan, like I was, then it will be only a slight consolation that Young Justice‘s team will return to Cartoon Network in a cross over into an upcoming new episode of the Teen Titans Go series.